TERRY COLEMAN has been a partner with Pillsbury & Coleman, LLP (formerly, Pillsbury & Levinson), since 1999, specializing in the representation of policyholders in insurance bad faith and insurance coverage matters. Past clients include individuals as well as small businesses and large corporations. In 2002, Mr. Coleman tried the disability bad faith case of Randall Chapman, M.D. v. UnumProvident Corp., obtaining a $31.7 million jury verdict for a disabled eye surgeon. Mr. Coleman also led the HealthNet litigation in which he obtained injunctions prohibiting California’s largest HMO from canceling health insurance coverage to hundreds of families insured under plans issued to the San Francisco Trial Lawyers Association, the Organization of Women Architects and the Bay Area Chamber. Mr. Coleman is a frequent lecturer and author on insurance-related topics and serves on many boards. 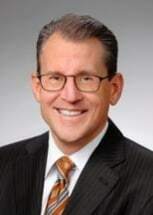 He currently serves as president of the San Francisco Trial Lawyers Association and is a past president of the St. Thomas More Society of San Francisco. He is a Fellow of the American College of Coverage and Extracontractual Counsel. In 2003, Mr. Coleman also served as chair of the Insurance Section of the Association of Trial Lawyers of America (now AAJ). That same year, Mr. Coleman was a finalist for “Trial Lawyer of the Year” by the San Francisco Trial Lawyers Association. Mr. Coleman is “AV” rated by the prestigious Martindale-Hubbell organization and was named a Northern California “Super Lawyer” in 2006 through 2014. Born in San Francisco, California, on April 25, 1968. Lead counsel in San Francisco Trial Lawyers Association v. Health Net, Inc., Robertson v. Health Net, Inc., and Organization of Women Architects v. Health Net, resulting in preliminary injunctions against Health Net prohibiting cancellation of coverage. (San Francisco County Superior Court, 2004 – present.) In December 2005, the Court of Appeal affirmed the injunction issued in San Francisco Trial Lawyers in a unanimous decision authored by Justice Carol Corrigan, who was recently elevated to the California Supreme Court.